"Gently" is the keyword when it comes to heating up sour cream, whether you heat it separately or along with other ingredients. It's important, too, to know whether your sour cream is full fat, light or nonfat because each type of sour cream reacts to heat differently. 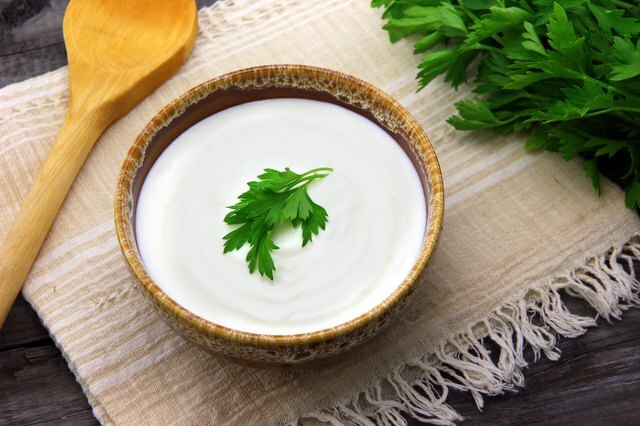 Even though heating sour cream may be tricky, its lively tang and its creaminess makes many foods taste better, from entrees to soups and sauces. 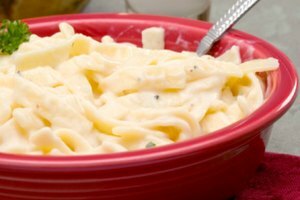 Cupfuls of warm sour cream works in entrees such as chicken or beef stroganoff, green-bean casserole and macaroni and cheese, and by tablespoon-full stirred into soups and sauces. 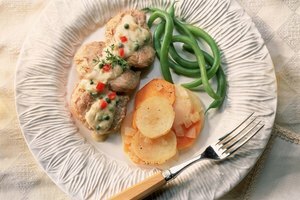 A warm sour cream sauce works well with dill, capers and cucumbers for salmon and other fish and with whole-grain or Dijon mustard for a sauce to pour over pork or poultry. You could even make a caramel sauce for desserts using sour cream instead of heavy cream. When heating sour cream in the microwave, you can control time and intensity. 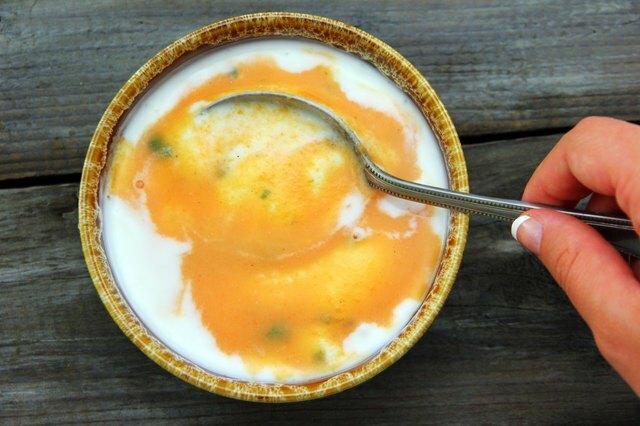 This method works for making sour cream sauces and for bringing sour cream up to room temperature before adding it to hot food on the stove top -- a procedure that prevents it from curdling. For each tablespoon of sour cream, microwave it first for 15 seconds at high power or for 20 seconds at 90-percent power. Then microwave in five-second intervals, checking on the sour cream between each interval until it becomes very warm. Stop microwaving before the sour cream becomes hot. 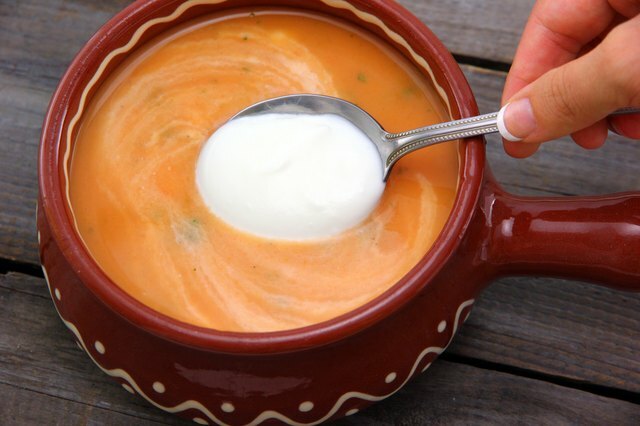 In addition to bringing it to room temperature before adding it to other ingredients on the stove top, temper sour cream by stirring a small amount of the hot ingredient into the sour cream before adding it to the entire casserole or soup. Add sour cream just before serving a dish and gently heat the dish on low heat, well short of the boiling point. To minimize the chances of sour cream curdling when you add it to a hot dish on the stove top, choose full-fat or low-fat sour cream for heating since nonfat versions curdle more easily. Or add a tablespoon or so of flour to the dish, which also minimizes the chances of curdling. To help prevent curdling, Cooking Light recommends you check the temperature of your soup or entree with an instant-read thermometer and only add the sour cream when the temperature is below 180 degrees Fahrenheit. If sour cream develops small, white lumps instead of a smooth, creamy texture, it has curdled. 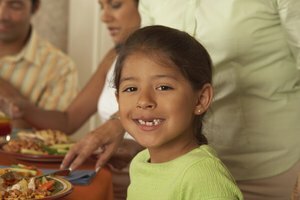 The food still is safe to eat. 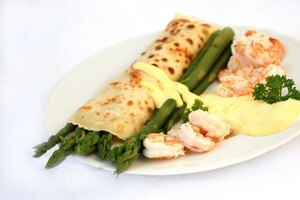 You can try to thicken it to remove the lumps or eat it as is, enjoying the flavor of the dish if not the appearance. 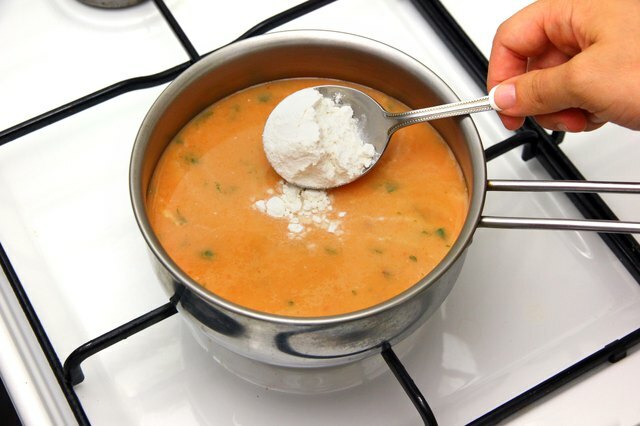 For soups and sauces, mix a tablespoon of flour or cornstarch and a few teaspoons of the hot liquid. Stir this slurry into the soup and cook the mix for a few more minutes to thicken the dish. 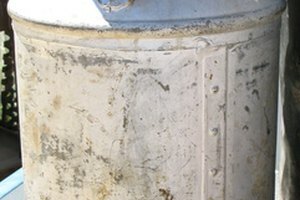 the kitchn: Help! What to Do With Leftover Sour Cream? Can I Eat Cream That Curdled in Scalloped Potatoes?